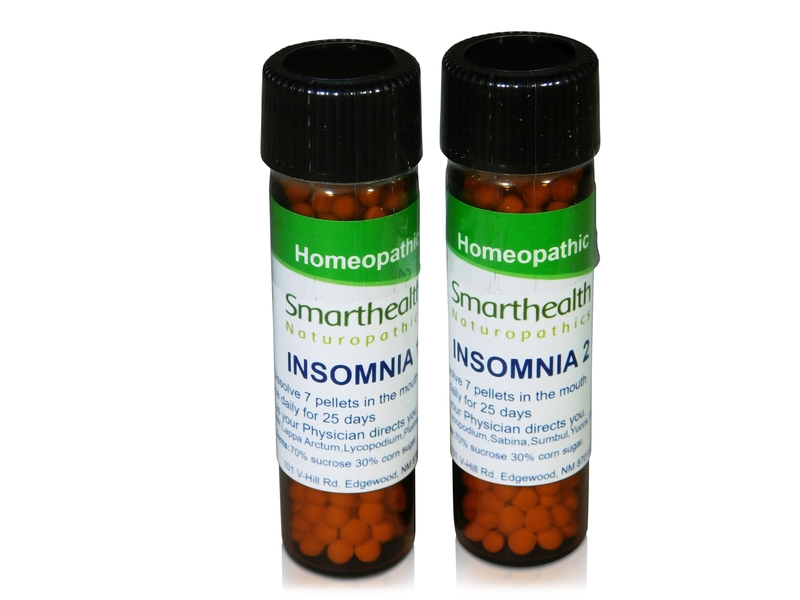 May relieve symptoms of long term "chronic Insomnia"This product may relieve symptoms of chronic long term insomnia when there are no other unnatural causes. Things that may cause long term insomnia are smoking, certain drugs and prescriptions drugs, OTC's like allergy medicines, energy drinks, weight loss medicines etc. Be patient it may take 2 1/2 months before noticing results. This product has a 3 month guarantee. It'f made in a FDA supervised laboratory using state of the art manufacturing methods. These statements have not been evaluated by the FDA. This product is not intended to diagnose,treat,cure or prevent any disease..
Vial 1. Lycopodium,Lappa Arctum,Platina,Rhodium,Silicea. Vial 2.Lycopodium,Sabina,Sumbul, Yucca,Viscum Al. Non active ingredients: 70%sucrose 30% corn sugar in non allergenic pellets.